On August 22nd we returned to Tsarskoe-Selo, where the Tsar was to be obliged to spend some time before he could get away to General Headquarters. Decisions of the utmost importance required his presence near the capital. 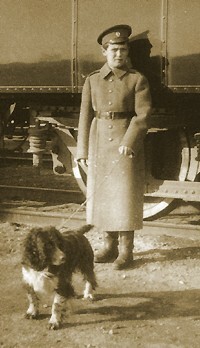 Right; Aleksey and Joy in front of the Imperial Train. Notwithstanding the terrible weight of responsibility on his shoulders, the Tsar never showed such firmness, resolution, and conscious energy as during this period at the beginning of the war. His personal influence had never been exerted with more authority. It seemed as if he had devoted himself body and soul to the formidable task of leading Russia to victory. We felt he was inspired by some inward force and a dour determination to conquer which communicated itself to everyone with whom he came in contact. The Tsar was shy and retiring by nature. He belonged to the category of human beings who are always hesitating because they are too diffident and are ever slow to impose their will on others because they are too gentle and sensitive. He had little faith in himself and imagined that he was one of the unlucky ones. Unfortunately his life seemed to show that he was not entirely wrong. Hence his doubts and hesitations. But this time it seemed as if he had changed. What was it gave him his confidence? 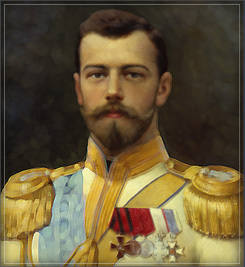 In the first place the Tsar believed that his cause was a holy cause. The events of the end of July had enabled him to see through the duplicity of Germany to which he had nearly fallen a victim. He also felt that he had never been so near to his people. He seemed to be borne along by them. His journey to Moscow had shown him how popular the war was and how much the nation appreciated the fact that his firm and dignified attitude had enhanced its prestige in the eyes of the outside world. The enthusiasm of the masses had never before been demonstrated with the same spontaneous fervour. He felt that he had the whole country behind him, and he hoped that political passion, which had vanished in the presence of the common peril, would not revive so long as the war was in progress. The disaster of Soldau, in East Prussia, occurred a few days after his arrival in Moscow, but it had not shaken his confidence. He knew the cause of that terrible defeat had been that the concentration of the troops had not been complete, and that General Samsonov's army had had to advance into German territory too fast in order to attract some of the enemy forces to itself and thus relieve the Western Front. That defeat had had its compensation a week later in the victory of the Marne. It was not right to bewail a sacrifice which had saved France and therefore ultimately Russia herself. It is true that the same result could have been obtained with less loss and that the Russian High Command was not free from blame, but this was one of the misfortunes which are always possible in the early days of a campaign. The Tsar thus preserved all his confidence and energy. At the very beginning of the war, and notwithstanding the opposition of many influential people, he had prohibited the production and sale of spirits. The step meant a serious loss to the Treasury, and that at a time when money was wanted more than ever. But his faith had been stronger than all the objections which had been urged. He had also acted personally in endeavouring to replace all unpopular Ministers by men who seemed to have the confidence of the Duma. In that way he desired to emphasise his wish for closer collaboration with the representatives of the people. On October 3rd the Tsar had gone to G.H.Q., where he spent three days. Then after a short visit to the troops in the region of Brest and Kovno, he had returned to Tsarskoe Selo. Henceforth he made periodic visits to the front and the interior of the country, seeing the different sectors of the immense front, the clearing stations and military hospitals, the factories and, in fact, everything which played any part in the conduct of the terrible war. The Tsarina had devoted herself to the cause of the wounded from the start, and she had decided that the Grand-Duchesses 0lga Nicolaievna and Tatiana Nicolaievna should assist her in her task. All three of them took a course in nursing, and passed several hours of every day caring for the wounded who were sent to Tsarskoe-Selo. Her Majesty, sometimes with the Tsar and sometimes alone with her two daughters, paid several visits to the Red Cross establishments in the towns of Western and Central Russia. At her suggestion, many military hospitals had been organized, as well as ambulance trains specially fitted up for the evacuation of the wounded to the rear, a process which was often very slow owing to the immense distances. Her example had been followed, and private initiative had never been displayed with the same enthusiasm and generosity. Lastly a congress of all the zemstvos (in the 39 Governments of Russia the executive authorities were assisted by the provincial assemblies - zemstvos - who looked after the economic interest, of the Government, the establishment of schools, hospitals, etc. There were also district zemstvos in the same Governments) and the municipalities of Russia had assembled in Moscow to organize the resources of the country. Under the influence of energetic and disinterested individuals the congress had rapidly been converted into a potent piece of machinery, with immense resources at its command and in a position to give the Government the most valuable help. In its scope and the patriotic fervour behind it this movement had been unprecedented in Russian history. The war had become a truly national war. The month of September had been marked for Russia by alternating victories and reverses. In East Prussia the defeat of Tannenberg had been followed by that of the Masurian Lakes, where the superiority of the Germans had been demonstrated once again. In Galicia, on the other hand, the Russians had captured Lemberg, and continued their irresistible advance, inflicting serious losses on the Austrian army, which had fallen back into the Carpathians. In the following month the Germans tried to secure Warsaw, but their furious onslaught had been broken against the splendid resistance of the Russians. The losses on both sides had been heavy. In December the Tsar paid a visit to the Caucasus, where the Southern Army was operating. He was anxious to spend a little time with the troops who were fighting under the most trying conditions against the Turkish divisions massed on the Armenian frontier. On his return he joined the Tsarina at Moscow, and the children also were brought there to meet him. The Tsar visited the military schools and with Her Majesty, his son and daughters, several times made the rounds of the hospitals and nursing establishments in that city. During the five days we spent at Moscow the enthusiasm of the people had been every bit as great as in August, and it was with real regret that Their Majesties left the ancient capital of Muscovy, the Tsar leaving for G.H.Q. and the other members of the family returning to Tsarskoe-Selo. Throughout this winter the health of the Tsarevich had been very satisfactory, and his lessons could proceed along regular lines. In the early spring Her Majesty informed me that the Tsar and she had decided, in view of the circumstances, to o dispense with the appointment of a vospilatiet for Aleksey Nicolaievich for the moment. Contrary to my expectations, I thus found myself compelled to shoulder the immense burden of responsibility alone for some time longer, and to find some means of filling up the gaps in the Heir's education. I had a strong feeling that it was essential that he should get away from his ordinary environment, even if it were only for a few hours a day, and try to establish contact with real life. I applied for and obtained a General Staff map of the country, and I planned a series of motor drives which enabled us gradually to cover all the district around within a radius of twenty miles. We used to start out immediately after lunch, and often stopped at villages to watch the peasants work. Aleksey Nicolaievich liked questioning them, and they always answered him with the frank, kindly simplicity of the Russian moujik, not having the slightest idea whom they were speaking to. The railway lines of the suburbs of St. Petersburg had a great attraction for the boy. He took the liveliest interest in the activities of the little stations we passed and the work of repair on the track, bridges, etc. The palace police grew alarmed at these excursions, which took us beyond the guarded zone, especially as our route was not known beforehand. I was asked to observe the rules in force, but I disregarded them, and our drives continued as before. The police then changed their procedure, and whenever we left the park we were certain to see a car appear and follow in our tracks. It was one of Aleksey Nicolaievich's greatest delights to try and throw it off the scent, and now and then we were successful. My particular anxiety, however, was to find companions for the Imperial Heir. 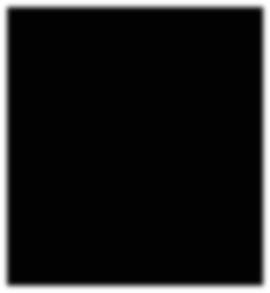 This was a problem most difficult to solve. Fortunately circumstances themselves conspired to make good this deficiency to a certain extent. Dr. Derevenko had a son who was almost the same age as Aleksey Nicolaievich. The two boys got to know each other, and were soon good friends. No Sunday, file day or holiday passed without them meeting. They were together every day ultimately, and the Tsarevich even obtained permission to visit the house of Dr. Derevenko, who lived in a little villa not far from the palace. He often spent whole afternoons there with his friend and playmate in the modest home of a bourgeois family. There was a good deal of criticism of this innovation, but Their Majesties would not interfere. They were so unaffected in their own private life that they could not but encourage the same tastes in their children. Yet the war had already brought some very remarkable change in our life at the palace. It had always been austere, and now became even more so. The Tsar was away a good deal. The Tsarina and her two elder daughters almost always wore the costume of a nurse, and divided their time between visits to the hospitals and the innumerable duties arising out of their work for the relief of the wounded. The Tsarina was very tired even when the war began. She had spent herself without counting the consequences, devoting herself with the enthusiasm and ardour she brought to everything to which she set her hand. Although her health was severely shaken, she displayed remarkable physical elasticity. She seemed to derive comfort and strength from the accomplishment of the splendid task which she had undertaken. It was as if she found that it satisfied her craving for self-devotion and enabled her to forget the poignant anxiety and apprehension that the Tsarevich's illness caused, even in its inactive periods. Another result of the war, agreeable as unexpected, was that Rasputin had retired into the background. At the end of September he had returned from Siberia completely recovered from the terrible wound which had all but ended his days. But everything pointed to the fact that since his return he was being more or less neglected. In any case, his visits were more and more infrequent. It was true that as Aleksey Nicolaevich had been so much better during the winter there had been no need to resort to his intervention, so that he had found himself deprived of what had been his great stand-by. "God will give her back to you if she is needed by you and the country. If her influence is harmful, on the other hand, He will take her away. I cannot claim to know His impenetrable designs." Rasputin's intervention had helped him to recover his influence, but his triumph was short-lived. In spite of everything, we felt that something had changed, and that he was not so important as he had been. I was delighted to note the fact, particularly as shortly before I had had a long talk on the subject of the staretz with the Swiss Minister in Petrograd (By a ukase of August 3 1 st, 1914, the Tsar had decreed that St. Petersburg should henceforth be called Petrograd). The information he gave me in the course of our conversation left me in no doubt as to the real character of Rasputin, as I had always suspected, he was a misguided mystic who possessed a kind of psychic power, an unbalanced creature who worked alternately through his carnal desires and his mystic visions, a being quite capable of having weeks of religious ecstasy after nights of infamy. But before this interview I had never realised the importance that was attached to Rasputin's influence on politics, not merely in Russian circles, but even in the embassies and legations of Petrograd. That influence was greatly exaggerated, but the mere fact that it could exist was a kind of challenge to public opinion. The presence of this man at Court was also a subject of mystery and abhorrence to all who knew the debauchery of his private life. I fully realised that all this involved the greatest danger to the prestige of Their Majesties and furnished a weapon which their enemies would sooner or later try to use against them. The mischief could only have been remedied by sending Rasputin away; but where was the power strong enough to bring about his disgrace? I knew the deep, underlying causes of his hold over the Tsarina too well not to fear the restoration of his influence if circumstances took a turn favorable to him. The first six months of the war had not brought the results hoped for, and everything pointed to a long and bitter struggle. Unexpected complications might arise, for the prolongation of the war might well bring very serious economic difficulties which could foster general discontent and provoke actual disorder. The Tsar and Tsarina were much concerned at this aspect of the matter. It made them very anxious. As ever in moments of trouble and uncertainty, it was from religion and the affection of their children that they drew the comfort they needed. With their usual natural simplicity and good humour the Grand-Duchesses had accepted the increasing austerity of life at Court. It is true that their own lives, so utterly destitute of the elements which young girls find most agreeable, had prepared them for the change. When war broke out in 1914, Olga Nicolaievna was nineteen and Tatiana Nicolaievna had just had her seventeenth birthday. They had never been to a ball. The only parties at which they had appeared were one or two given by their aunt, the Grand-Duchess Olga Alexandrovna. After hostilities one thought, and one thought alone, inspired them to relieve the cares and anxieties of their parents by surrounding them with a love which revealed itself in the most touching and delicate attentions. If only the world had known what an example the Imperial family were setting with their tender and intimate association! But how few ever suspected it! For it was too. indifferent to public opinion and avoided the public gaze. Visit a 13th century Byantine palace and learn about Imperial life.